I was the only one on the bus. Understandable really, as it left Kendal bus station at 5.45am. It was surprising that I was actually on it myself. A rare night out with Claire, drinking far too much white wine with our meal. Then “one for the road” at Burgundy’s Wine Bar. This turned into another bottle of red with friends we hadn’t seen for years, ending up a very late night. Remembering a vague plan to catch the early morning bus. With a sore head, I thought I’d spend some time power napping on the way. The friendly bus driver had other ideas, keeping up a constant stream of chatter, with me in full view of his mirror, sitting in the back. Amazing to see how much engineering work had been done already around Thirlmere, since the devastation by Storm Desmond. I couldn’t believe the scale of the landslides on the east side of the lake. My new friend dropped me off at the footpath near the dam. Jogging up the steep climb through the forest, many trees fallen over like skittles. It was a gorgeous morning. There was a cold, northerly breeze. Blue skies and hardly a cloud in the sky. Sunlight filtered through the trees, the air having an Alpine feel. 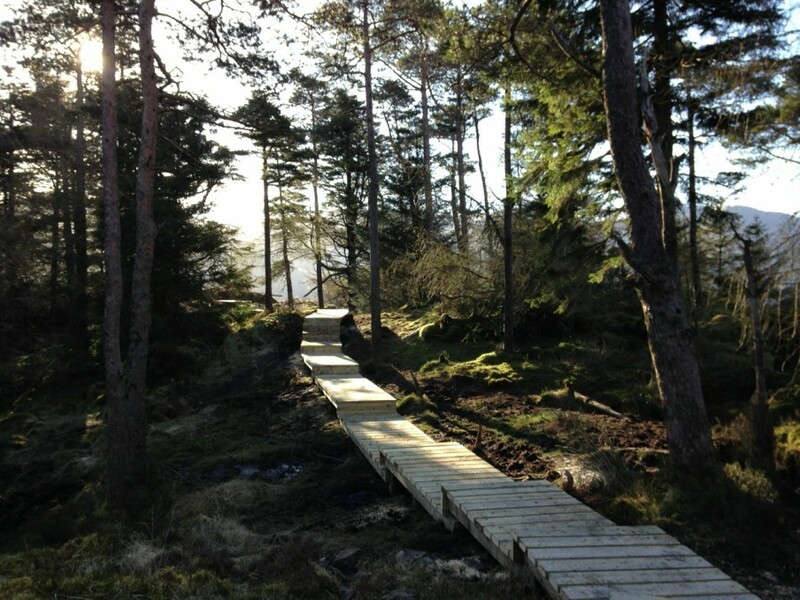 As I neared the summit of Raven Crag, there were new wooden steps and a boardwalk, frosted white. 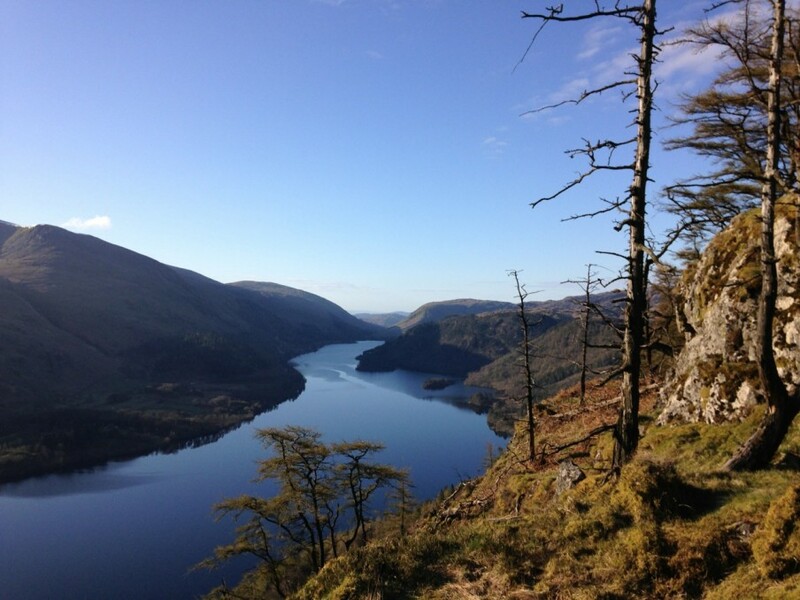 The view down towards Thirlmere was breathtaking. 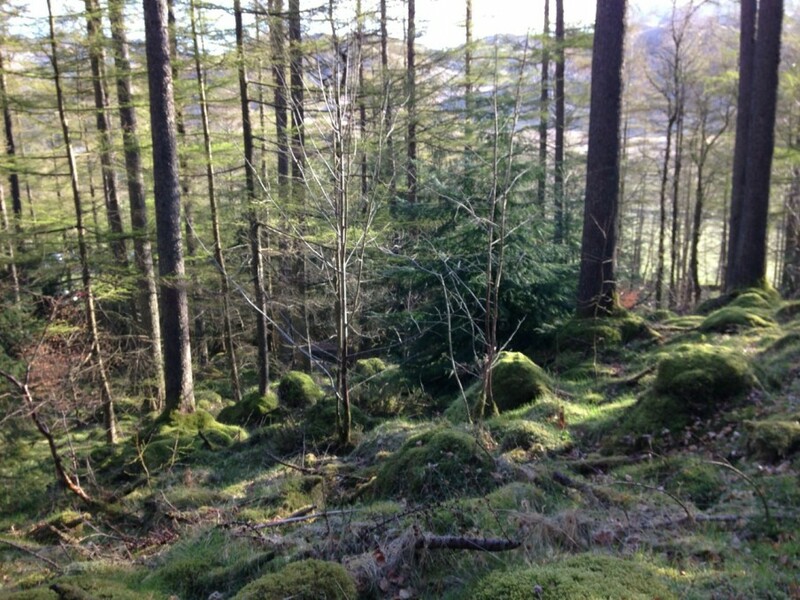 On the switch backs, preferring the rough, underfoot conditions of the steep woodland, to the monotony of the graded forest road. 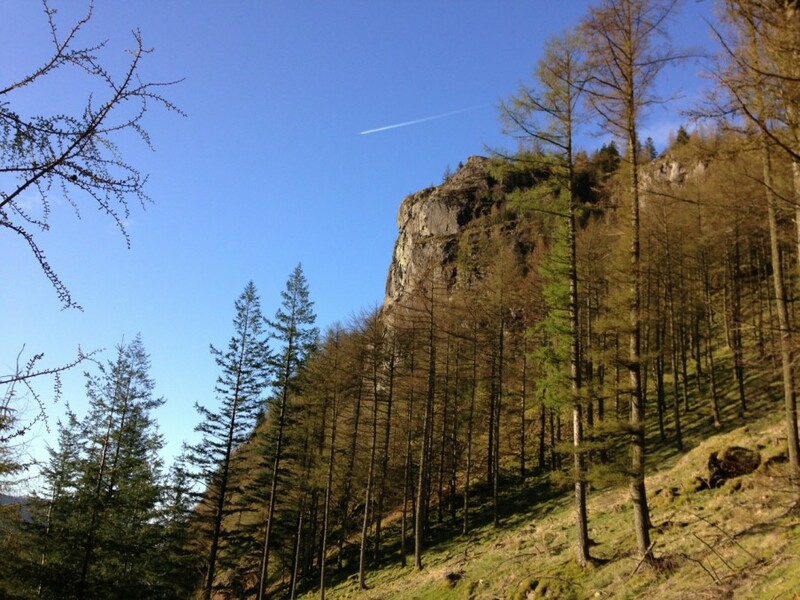 I run through the quiet campsite of Shoulthwaite. Crossing the deserted A591, I follow an ancient trail around the corrugated mound of High Rigg. Veering off the trail, climbing steeply through snow flattened orange-brown bracken stalks. 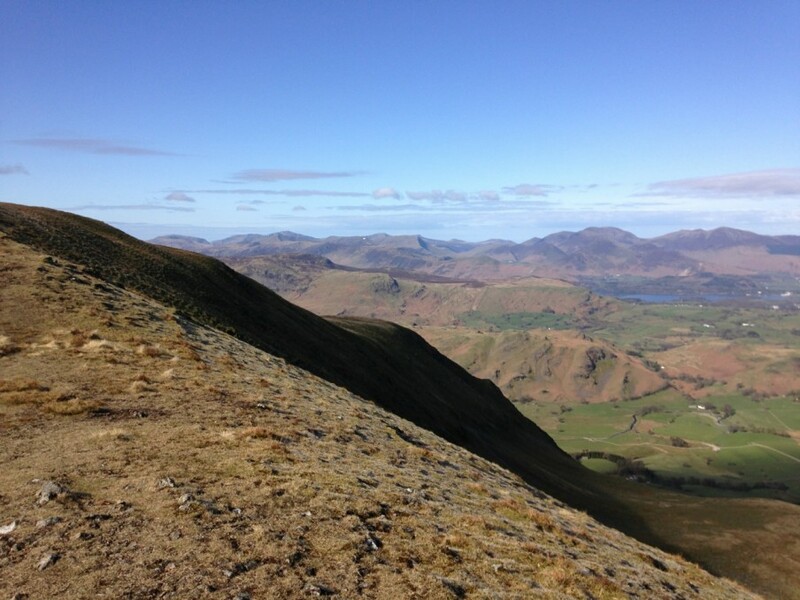 Reaching the summit, with spectacular view of Blencathra and Skiddaw. 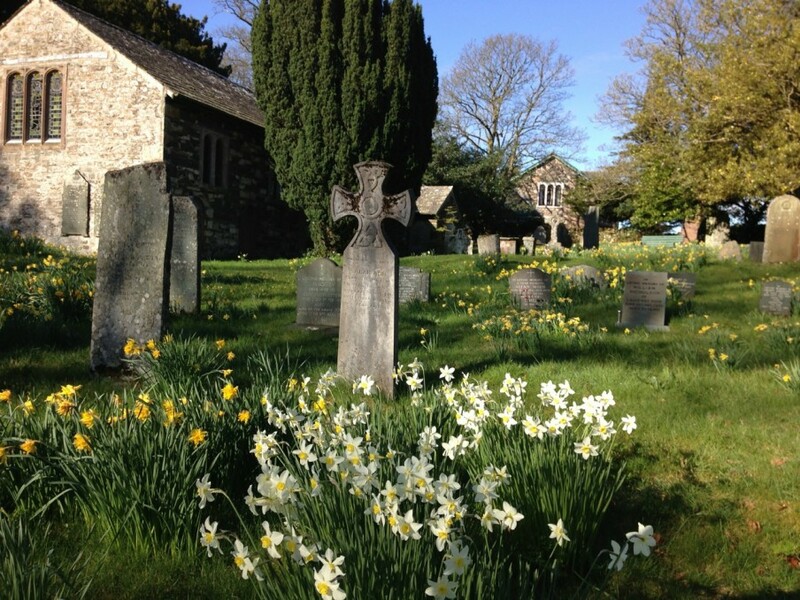 I run down to St Johns in the Vale church, taking photos of the daffodils in the pretty graveyard. I find a path meandering down to St Johns Beck. A dipper flying out from under the new footbridge. 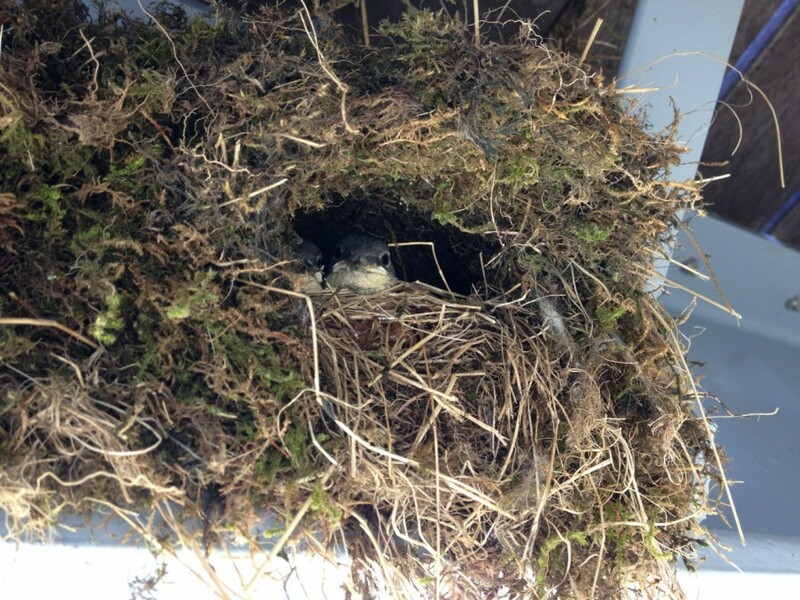 It’s domed nest crammed full of youngsters, balanced on the new steel bars underneath. Skylarks serenaded me along the Old Coach Road to the climb of Clough Head. The last time I was here was during my Bob Graham Round last May, when it was pitch dark. This morning the ground was white with frost. Leaning into the steep climb, pushing on my thighs to keep up momentum. 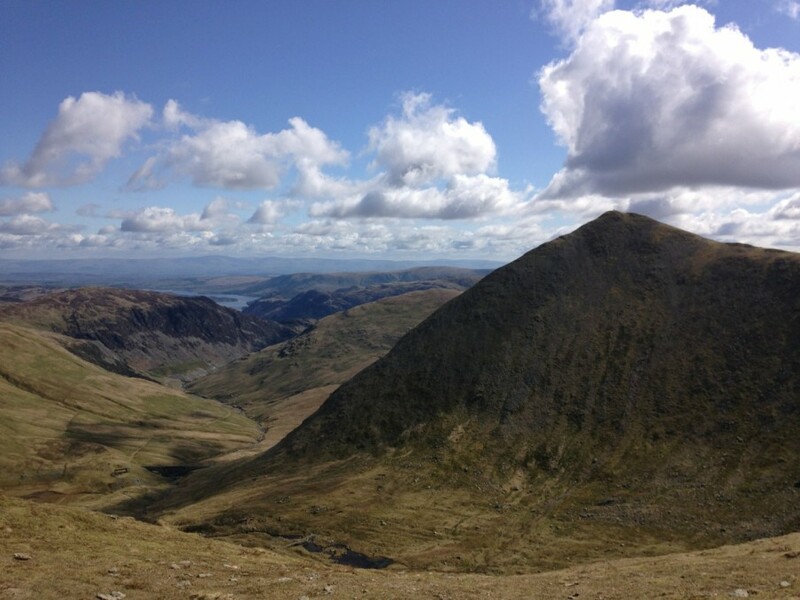 From the summit, a lovely run down towards Calfhow Pike. The ground rock hard up to Great Dodd. 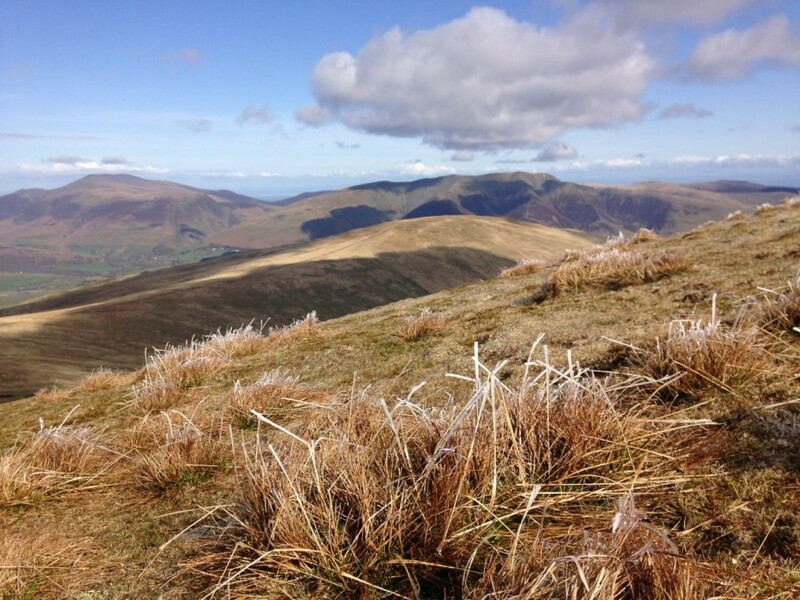 Clumps of grass, white with frost near the summit. 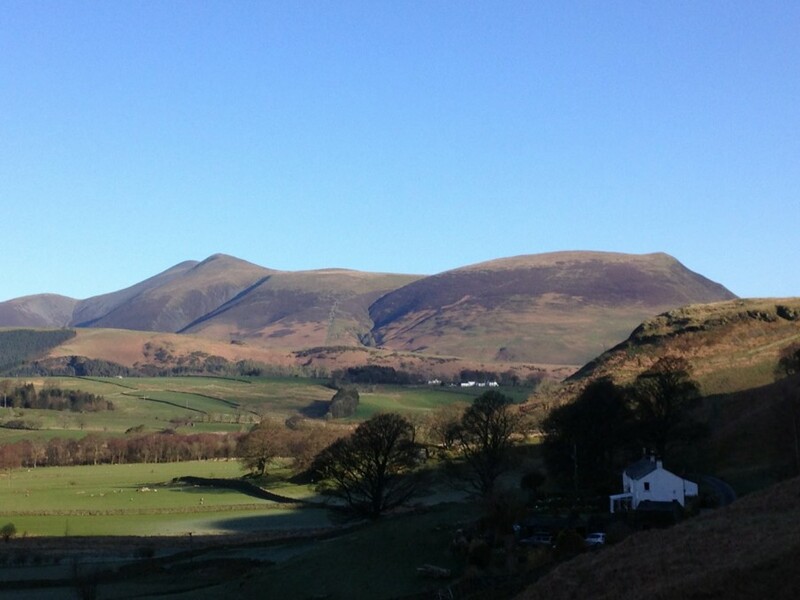 An easy run to Watson’s Dodd. 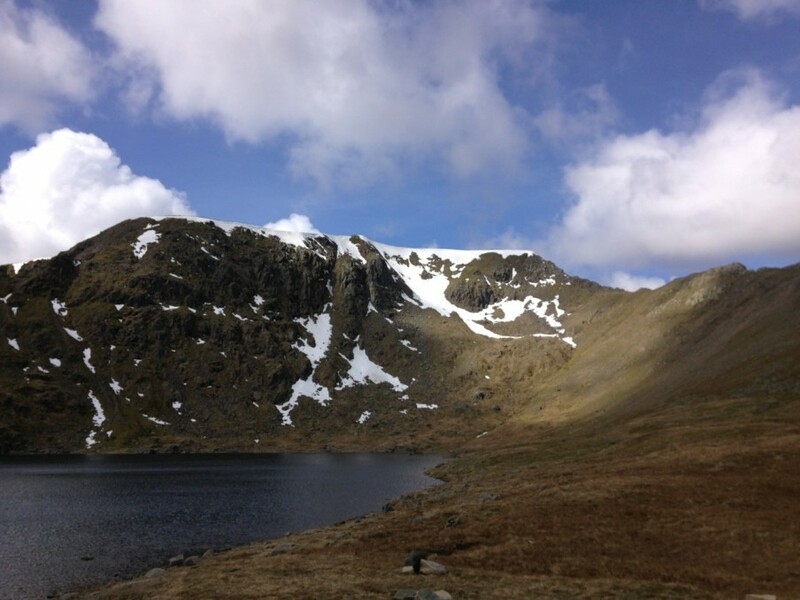 Along the ridge, visiting Stybarrow Dodd, Raise, Whiteside and Helvellyn Lower Man. 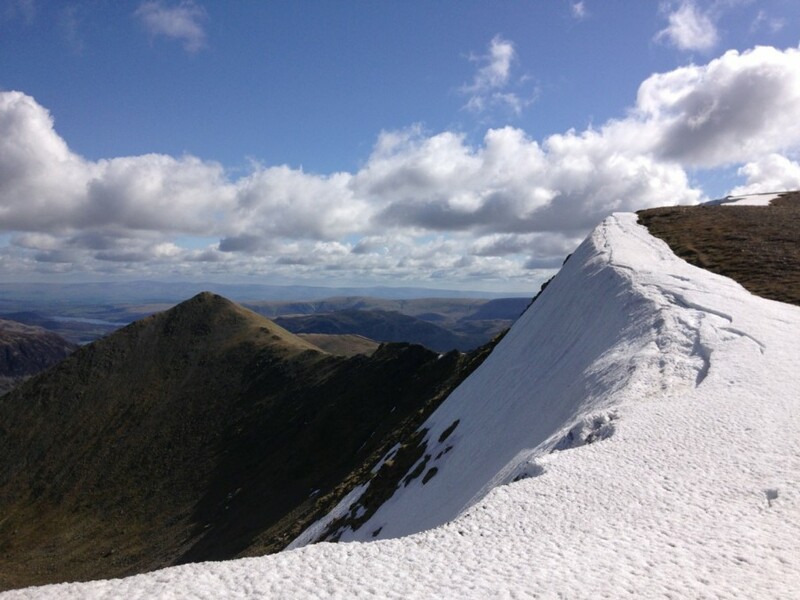 The mesmerising ridge line of Helvellyn, edged with snow, getting ever closer. 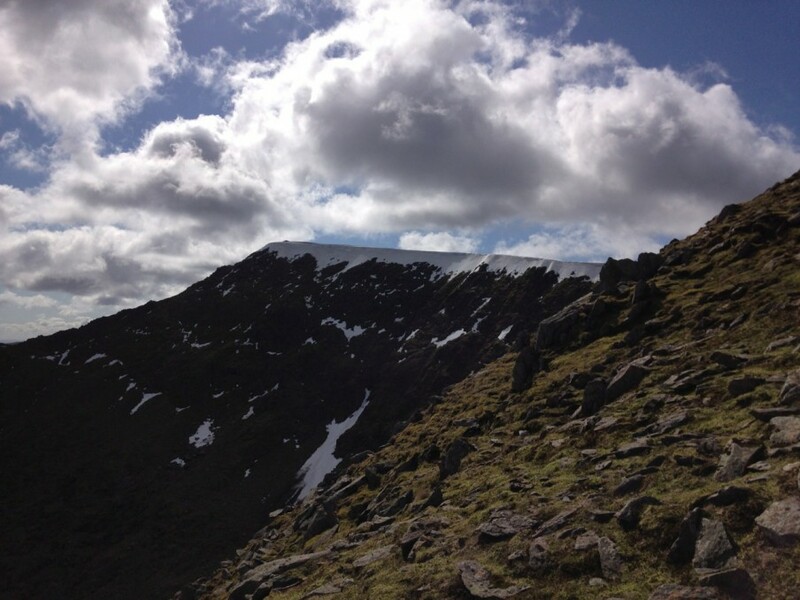 Old snow marked the descent down Swirral Edge. Crouching down, skiing the short, steep slope on my studs, using my hands as brakes. The haphazard, broken rocks were scored by winter crampons. I run along trying to bring life to my freezing cold hands. From the small cairn on Catstycam, a steep grassy descent down to Red Tarn. Suddenly I’m spreadeagled on the ground, sprawled amongst rocks, bleeding from my hand. I pick myself up, my toes bruised and sore, my fingers red with blood. I take a great route off Birkhouse Moor, straight off The Nab, amongst steep rock, picking my way down through the rough terrain. Eventually meeting the rocky path near Mires Beck. 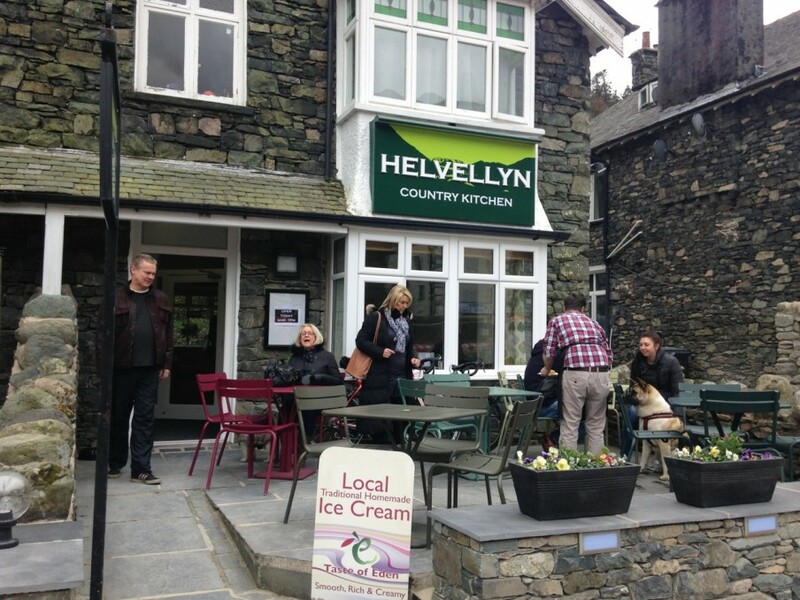 Refuelling at the Helvellyn Country Kitchen Cafe, with a late brunch, a full cooked breakfast, with a flat white coffee. I found out they’d only recently re-opened after the floods. 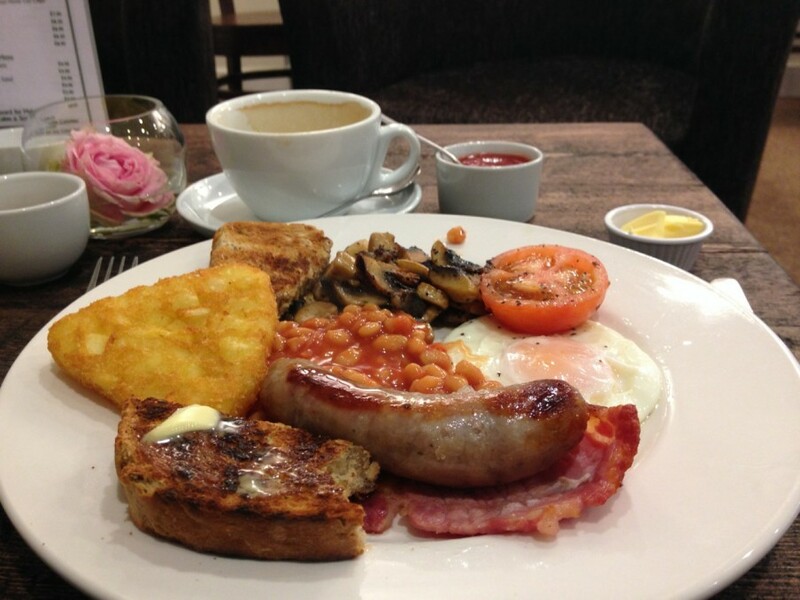 Michelle, the owner, showed me photos on her iPad, with flood water one metre deep inside the cafe. Missing the bus to Ambleside by a few minutes, I find out the next one is nearly two hours away. 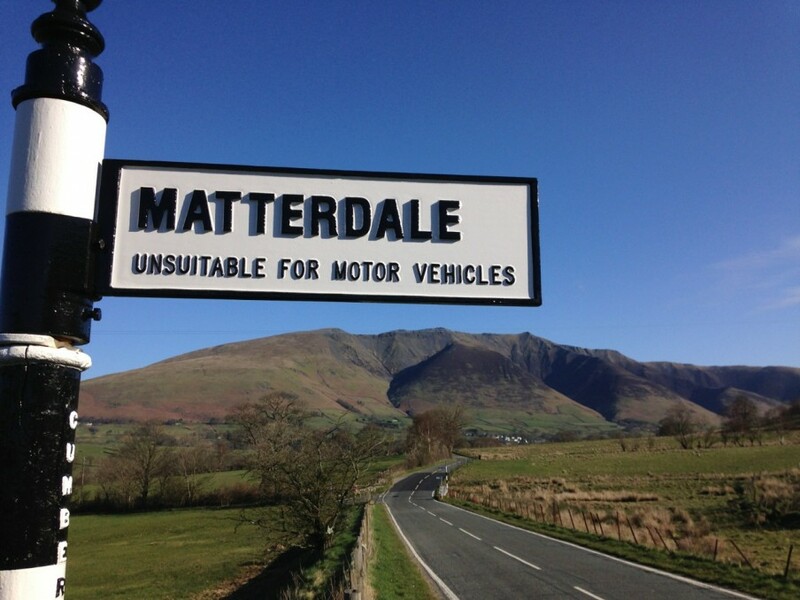 I look at my map, seeing a line from Hartsop, climbing up to Thornthwaite Crag, and along my favourite ridge, Froswick, Ill Bell and Yoke. I shouldered my pack, and set off on my long run home. 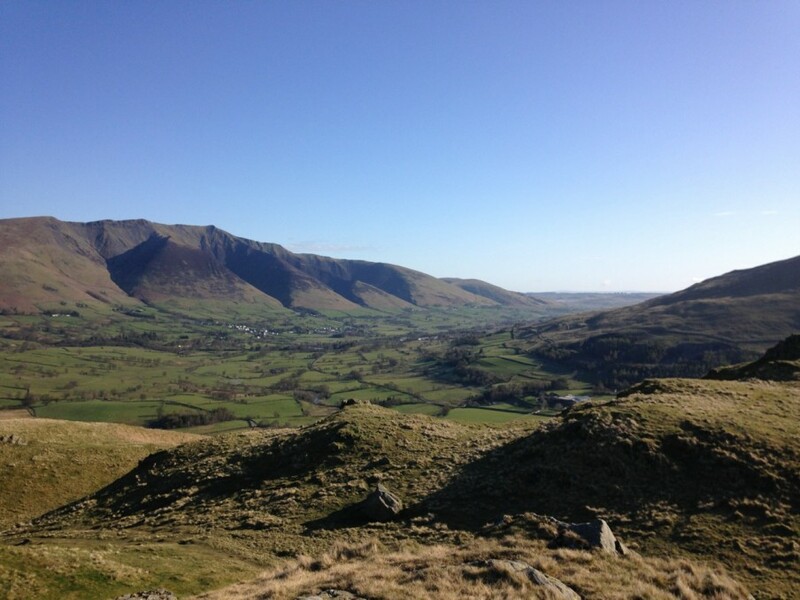 7 Wainwright summits today, that’s 109 down, 105 to go. 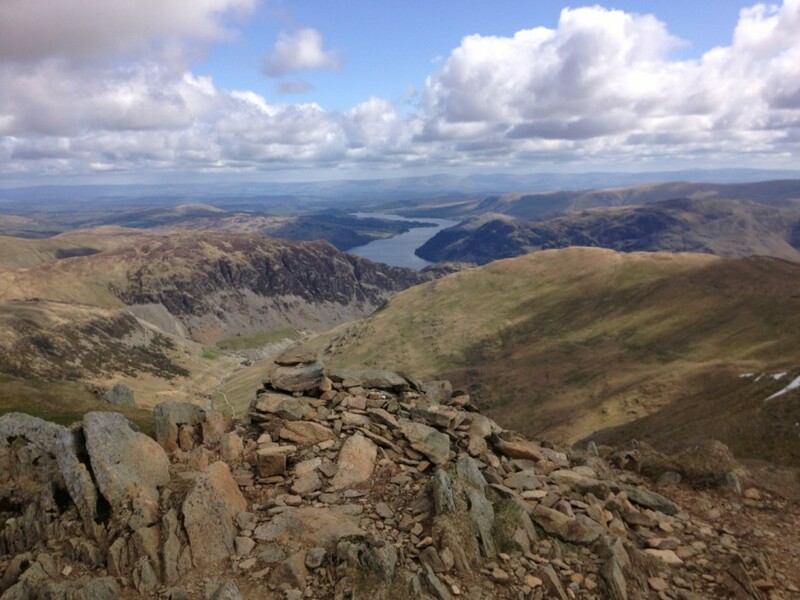 This entry was posted in Best Of, Blog and tagged bagging, Lake District, Lakeland Trails, run, running, summit, trail, trail running, trails, ultra, Wainwright. Bookmark the permalink.